Home improvements give us all a huge sense of achievement and well being. However, not everyone is gifted with an abundance of space. In fact the UK has some of the smallest properties in Europe. One-bedroom homes average at 46 square metres (495 sq ft), which is 22ft by 22ft. So it can be imperative that you make the most of the space at your disposal*. One style trending at present is a minimalist design, which can be a worthwhile investment. A multitude of television programs and social media hubs can fuel you with inspiring ideas. Modernising your kitchen in this fashion can certainly turn a teeny tiny cooking space into something far more functional. A clean look and lines can create the perfect Feng Shui and a very sophisticated look. Your choice of kitchen unit is an important choice. Glossy cabinets with glass doors, or laminate and lacquered cabinet surfaces can make for a gorgeous kitchen. But also consider the discretion of your units and appliances. Drop those gaudy handles for finger pulls, fit door panels over fridge and dishwasher faces and integrate them into a far more subtle and minimal space. Those of you with high ceilings may want to economise by installing wall-hung cabinets, up to the full height of the ceiling. This is a great way to consolidate all the lovely niche appliances and best dining sets you don’t tend to use every day. The colour choices you make also make a huge difference. White certainly creates the illusion of an expansive environment, but some of you still want some personality and warmth. Here’s when to consider how aesthetics and colour combinations can combine to the same effect. Using a monochromatic colour system can help, decorating your kitchen in various tones of the same colour. Whether you have a clear idea or want us to work with you to develop one, our team can turn your dreams into a reality. BST Plumbing Services will design and supply your chosen kitchen for you, passing on tips and advice pulled from our pool of over 20 years experience. 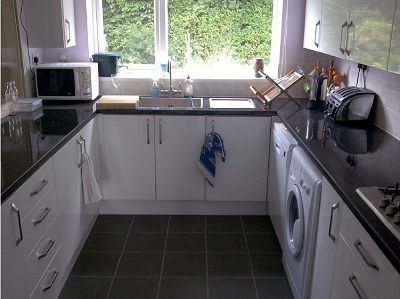 Already chosen a your kitchen elsewhere? No problem! 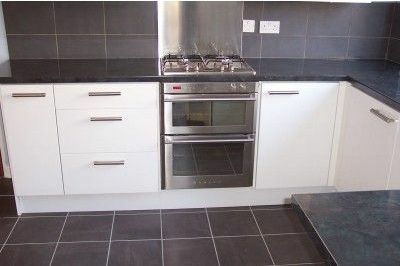 With our Kitchen Fitting Only service for a competitive price, we’ll supply the labour you need to install it.